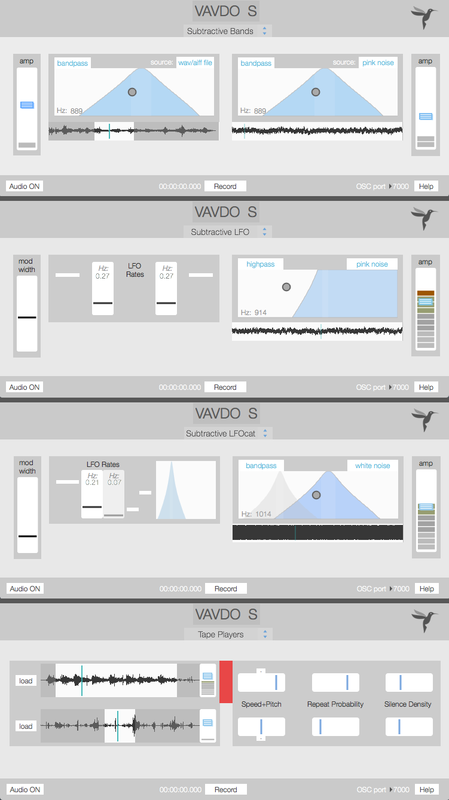 Vavdo S is a software "modular" synthesizer designed for Vavdo A physical interface.  The current version includes four different synth modules auto-mapped to Vavdo A1 or A2. If you like, you can setup your own OSC controller or use it from the GUI. The synths for now are: Subtractive bands (two parallel filters), Subtractive LFO (multi-modulated filter), Subtractive LFOcat (linked multi-modulated filters) and Tape Players (two audio loop players). -- added options for setup audio driver, input/outputs, buffer size, etc.